One of the major considerations in selecting a Financial and Investment management system, is to reduce operational risk and more specifically errors or delays in processing trades, the occurrence of fraud and by applying appropriate due diligence procedures. Asset management companies are constantly looking for ways to enhance operations’ architecture. The way to do this is through workflow management and improved control on transactional information. The ultimate goal is to integrate reporting systems across organisation and front-, middle- and back office systems, as well as across asset classes. 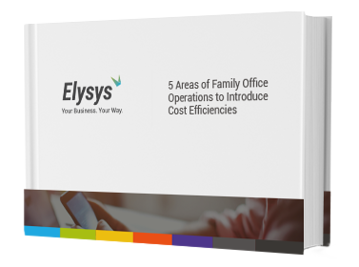 Elysys announces the release of a new Front Office Module, which has now been added as an option to the NAVInvest suite. It includes enhanced functionality to create and record trades as well as the ability to import data from an external Trading System. In addition, users can now expand the workflow capabilities of their enterprise system, improve internal and regulatory compliance and increase their risk and performance assessment capabilities.